Polyester netting to help keep thread on your cones. Handy Nets are made from loosely-knit netting and are placed over cones to prevent thread from sliding down the cone. Wrap a net around the cone of thread while in use. 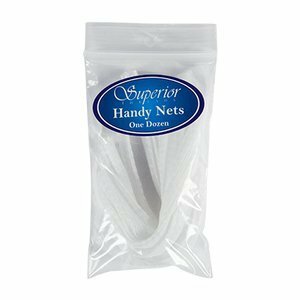 Leave net in place when storing thread to prevent unwinding. Recommended for smooth and delicate threads such as metallics, trilobal polyesters, MonoPoly, and other threads. Each net is approx. 6 inches long, but can be cut to fit spools.